FOR A SMILE THAT WILL SAY WOW ! Located in the heart of Rosemont-La Petite-Patrie, we are very close to you. A very warm welcome awaits you, because this is your home. Each of our patients is at the center of our priorities. High quality dental care is provided in our dental clinic and be sure that you will be given the best treatment. There is a full range of medical specialties in the clinic; we have a solution for you, and those around you will say WOW when they see your new smile! Discover our services, our dental clinic, our dentists and our team through this website. General dentistry, restoration, prostheses, surgery, implants, orthodontics, emergencies … discover a wide range of specialized dental services. Our team shares the same goal as you: keep your mouth healthy! Your dentist and hygienist will combine their expertise to establish a tailored care plan adapted to your needs. Free consultation for orthodontics, implants and prosthetics. X rays are not included. 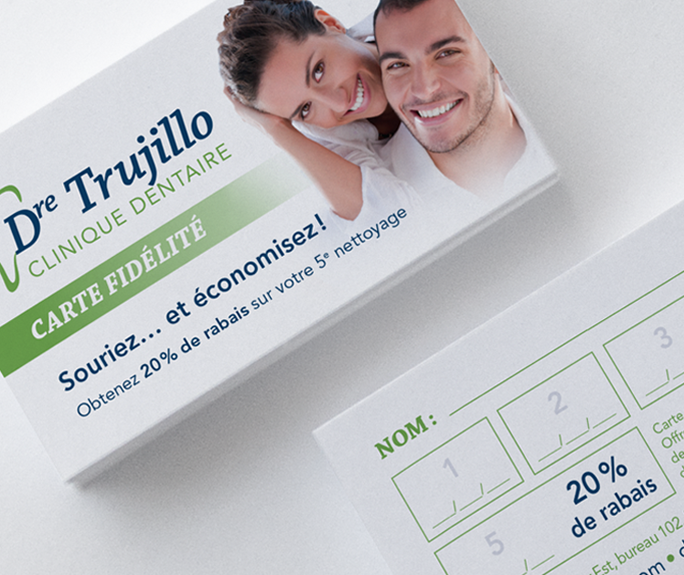 At the Clinique dentaire Dre Trujillo, the full range of dental services are available. Our dentists, our hygienists and our denturologist work together to help you get the dental treatment you need. We give our patients all the attention they deserve to give them the most enjoyable treatment experience possible.